Whenever I receive a status update from a friend in some far away place, I always think, “I wish I were there.” I have a crazy desire to see everything firsthand, to be a part of everything as it’s happening. And thanks to ingenious live mobile video streaming app, Perceptar, we’re all about to become much much closer to having such wishes come true. 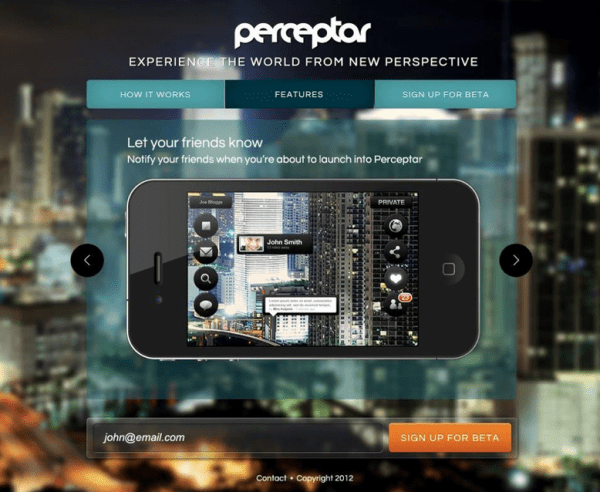 Perceptar is an iPhone application that allows people to jump from one live video stream to another using #hashtags. Become a part of the action anywhere. See what unedited, messy, beautiful, fascinating life looks like through the eyes of friends, family, and perfect strangers. Hashtag Tokyo for example, and as my fellow KS writer Holly Hutton would say, “Boom.” You’re in Tokyo, enjoying a real-time view of the city. Amazing! Part of why we all love travel so much is that it allows us to experience places firsthand. We want to know what it’s really like to be somewhere. We want to see it for ourselves. As much as we’d like, it’s physically impossible to be everywhere, but Perceptar gives us the opportunity to directly view life unfolding before the eyes of someone else – allowing us to both be there and to gain perspective on how the world looks in someone else’s shoes. Sort of like a live, real-time YouTube, Perceptar creates an unfiltered video lens of ongoing life across the globe. This is a huge leap closer to becoming a citizen of the world – truly the next best thing to being there. 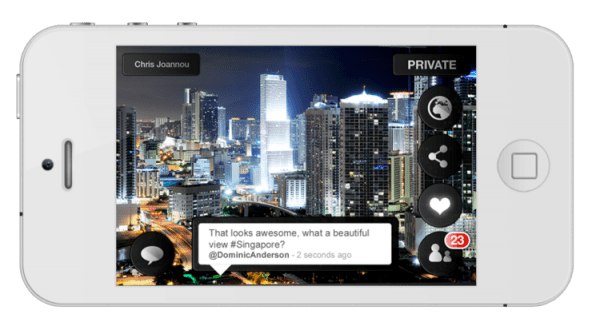 Perceptar users will enjoy both private and public social networks, so they have control over whether or not video is shared amongst friends and family only or with the world at large. Simple notifications will let people in your network know when you’re about to begin rolling the mobile camera in Perceptar. Watch your niece unwrap her gift three time zones away, and feel her surprise and delight in real-time. Convince your friends (OK, maybe event organizers too) to let you see all the live concerts you’d kill to be at. 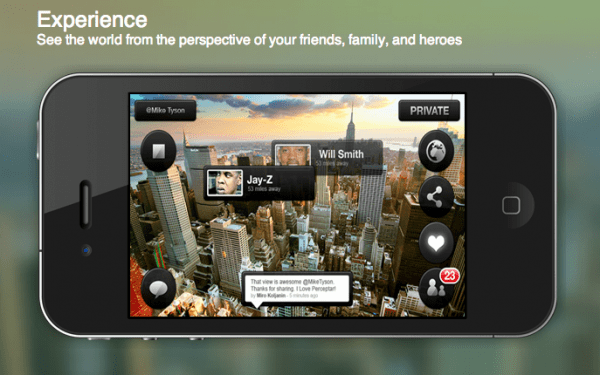 Instead of reading status reports of your favorite cultural figures, follow what they’re up to through live video feed. Imagine having had Perceptar around to view events on the ground when things went down in Egypt, watching through the eyes of the people participating in the Arab Spring. This is the next step in the evolution of taking part in global events. I can’t wait to use this application. The plan is for Perceptar to hit public beta in the very near future after making the user experience as seamless as possible. In the meantime, founder Chris Joannou invites KillerStartups readers who love shooting video on their phone to help test in private beta. Simply head on over to the landing page and sign up. 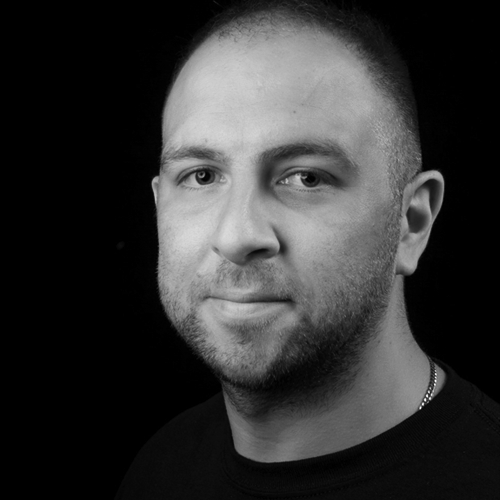 In addition to Perceptar, Joannou runs one of Melbourne’s largest online business and startup networks – The Melbourne Internet Business Group. He also directs Startup Grind Melbourne and heads DreamPushers. A serial entrepreneur, he’s been in businesses involving everything from tech to skateboards to a private label food and beverage business. Follow Joannou on Twitter: @dreampushers.